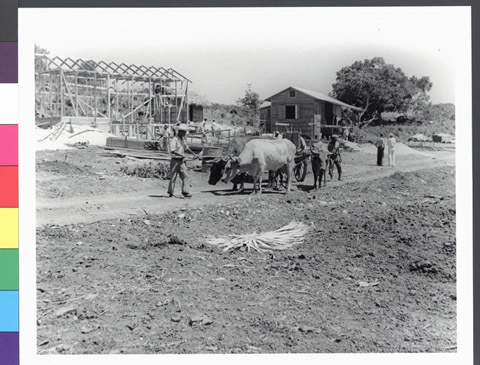 JDC - Archives : Settler houses under construction. Search > Search Results > Settler houses under construction. Title Settler houses under construction. Description View of the refugee settlement with three cows in the foreground and unfinished houses in the background. Each family will recieve a homestead and training in agriculture and dairy farming.